Marsh & McLennan - 1166 Avenue of the Americas, enter on 45th or 46th St. NOTE: VIP 2-day Package includes extra savings. Workshops are also available for individual purchase at a special ATD NYC rate. Visit the Events section of the atdnyc.org website to learn more! Positive Psychology has been described as the 'science of what makes life worth living'. The evidence is building that its application enhances peak performance by contributing directly to greater well-being, physical health, life satisfaction, engagement and achievement in work, study and life. At the same time it’s application acts as a protective factor resulting in less anxiety, stress and depression coupled with increased levels of hope, mental toughness and resilience. However, the world’s media remains gripped by stories of depression, stress and psychological ill health. It has been estimated that 1 in 5 adults in the U.S. has suffered from mental illness within the last 12 months. Worse still, the Congressional Research Service estimated in January 2018 that the prevalence of mental illness amongst the U.S. adult population was between 26.2% and 32.4%. Moreover, research in the field of coaching has found that between 25% and 50% of clients presenting for coaching meet criteria for clinical mental health. At the organizational level, research suggests that stress is one of the biggest causes of absenteeism at work, costing $billions annually. It has been estimated that at any one time only 30% of the workforce are likely to be engaged. Indeed, engaging, motivating retaining talent is an increasing challenge that directly impacts the bottom line. Competitive, high-pressure cultures are no longer sufficient to drive organizational success. Our ability to work with and through others, and to adapt and remain resilient as new challenges emerge, have become even more critical as disruptive forces increase the pace of change. As a result, Positive Psychology is increasingly being used by leaders, coaches, HR, L&D, OD and Talent professionals in order to help organizations reap tangible benefits, relating to profitability, productivity, customer loyalty and satisfaction. Be provided with an engaging overview of latest global research on the application and integration of Positive Psychology in leadership, coaching and the workplace. Explore the Well-being and Performance Framework and how coaching can build PERMAH (Positive Emotions, Engagement, Relationships, Meaning, Accomplishments & Health) and optimal functioning. Understand the positive workplace practices that allow human and organizational flourishing, including the role of Positive Emotions and FLOW, the use of Strengths and the development of Mental Toughness. Explore the latest research on Engagement, Motivation, Self Determination Theory, and Needs Supportive Management, Leadership & Coaching. Learn and Practice Positive Psychology Coaching. Be provided with an overview of the groundbreaking research on the Coaching Ripple Effect to support wider systemic change. This program is designed for Leaders, Coaches, HR, L&D, OD and Talent professionals who want to learn how to use the science of Positive Psychology to drive Peak Performance at the individual, team and organizational level. Over the last two decades the use of coaching as a means of enhancing performance and development in organizations has increased substantially. This trend shows no sign of slowing down. At the same time there has been exponential growth in the amount of coaching research, and increased interest in the development of evidence-based approaches to coaching. Despite this, there is still a lack of clarity about what constitutes evidence-based coaching. Using the best available evidence from research, theory and practice, this unique workshop will explore the fundamentals of coaching, including the core theories and techniques of evidence-based coaching used to facilitate individual and cultural change. The workshop covers both the “how” of coaching (how to coach) and the “why” of coaching (why it works) – it is results focused, interactive and highly experiential. Receive individual feedback to enhance effective coaching skills and techniques. Mid to senior level managers who want to learn to coach their reports and teams more effectively. 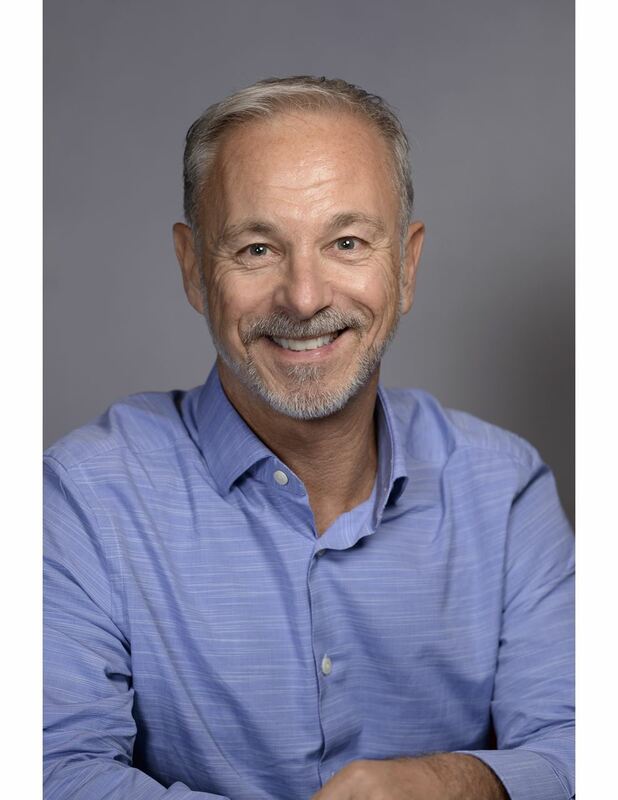 Clive Leach is an organizational, executive and career coach and facilitator with extensive international experience over the last 10 years in the application of coaching psychology to enhance individual, team and organizational performance. He partners with market leaders in the fields of Leadership Development, Talent Management, Executive Coaching, Career Transition, Positive Psychology, Positive Education, Resilience, Mental Toughness and Well-being. Assignments have included the corporate, government and not-for-profit sectors and a wide range of education providers in Australia, China, SE Asia, Europe, U.S. & the U.K.
Clive is currently a Visiting Lecturer at the University of East London teaching on the world's first MSc Applied Positive Psychology & Coaching Psychology (MAPPCP). He is also a Global Representative for the International Positive Education Network (IPEN), which seeks to promote a greater focus on character development and well-being alongside academic success in schools and colleges worldwide. Committed to evidencing the outcomes of coaching, Clive has participated in a coaching research study through the University of Sydney focusing on building resilience, hope and self-regulation in young people. Keeping abreast of best current practice and research Clive has attended and presented on his work at numerous international conferences including the European Coaching Psychology Congress 2013, the European Conferences on Positive Psychology 2014, 2016 & 2018, and the IPPA World Congress on Positive Psychology 2017. In addition he has been published in the peer-reviewed ‘International Journal of Evidence-based Coaching & Mentoring’, has a chapter on Positive Psychology in Education in 'Coaching in Professional Contexts' (Sage) and an upcoming chapter on PERMA-Powered Coaching in ‘Positive Psychology Coaching in Practice (Routeledge). Clive has a Master of Organisational Coaching (Merit) from the University of Sydney Coaching Psychology Unit. Relevant accreditations include certification as a Realise2 Strengths Practitioner and certification in the MTQ48 Mental Toughness Questionnaire through which he debriefs both individual and team profiles in corporate, government and education settings. Angela Wright has over 25 years global professional experience, including more than 10 years experience as consultant, coach, coach supervisor and researcher. She partners with organizations to design and deliver Evidence Based Coaching Programs, including: one-on-one executive coaching; group coaching; systemic team coaching; leader as coach; and the development of Coaching Cultures and Coaching Centers of Excellence. Angela also provides internal and external coach mentoring, training, professional development and supervision (individual, peer and group). Passionate about supporting the development of an evidence base for coaching and improving the standard of coaching globally, Angela is actively involved in coaching research, including on the world’s largest leadership and coaching research project: Leadership in High Stress Workplaces, research into Engagement and Motivation, pursuant to a grant from Harvard University’s Institute of Coaching. She is currently undertaking research on Coaching Supervision in collaboration with ATD NYC and the International Coach Federation NYC. Angela was also part of the writing team responsible for drafting the world’s first ISO (International Organization for Standards) aligned Guideline for the training of coaches and the provision of coaching services. A previous Board member, Angela is currently the Director of the Coaching Center of Excellence ATD NYC and Co-Chair of Coaching Supervision Programs. She is a Fellow at Harvard’s Institute of Coaching, a Member of the Association of Coaching Supervisors, and the Sub-Chair of Programs (Experiential Sessions) for Columbia University’s Coaching Conference in 2018. In addition to her legal qualifications, LLB (with honors), LLM (University of London), J.D. (College of Law, U.K.), Angela’s coaching related qualifications include, a MSc. Organizational Coaching Psychology (University of Sydney), Professional Certificate of Advanced Study in Coaching Supervision (Oxford Brooks University), Adult Development (Harvard University), Positive Psychology (University of North Carolina), Human Capital Development & Organizational Effectiveness (New York University) and Change Management (Australian Graduate School of Management). She is a certified International Systemic Team Coach (Academy of Executive Coaching) and accredited in a number of assessment tools.